A talented and skilled team - The SP Green team have a passion for quality jewellery. 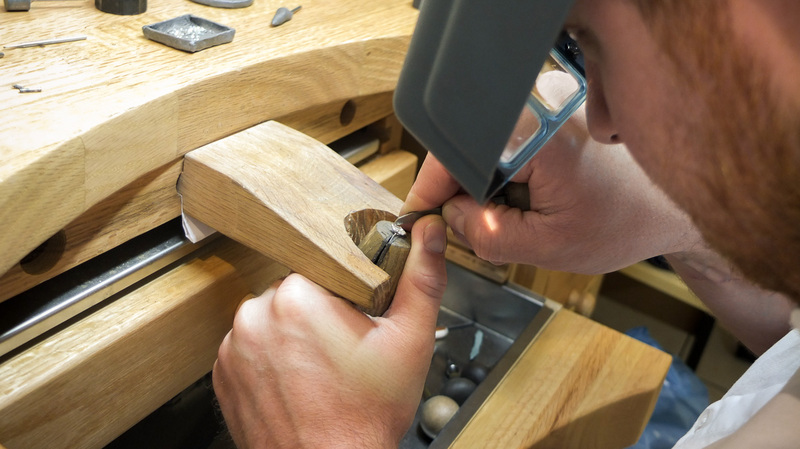 Our team is both knowledgeable and experienced in jewellery manufacturing. This makes SP Green in the jewellery quarter Birmingham a fantastic place to visit and discuss your unique bespoke jewellery ideas. We can help make your jewellery dreams become a reality. We work alongside you to understand your vision and create something beautiful. Bespoke jewellery can be a wonderful way to celebrate milestones or to wear for a special occasion. If you’re interested call our friendly and dedicated team on 0121 212 0370. Have You Considered A Bespoke Engagement Ring? If you’re asking your partner to marry you, a bespoke engagement ring is a beautiful choice. Giving them a unique piece of jewellery that they can look at and be reminded of the many happy times you have shared together. Whilst we can’t guarantee that they will say yes, if they do; a bespoke engagement ring from S.P. Green gives them a beautiful piece of unique jewellery to serve as a constant reminder of the love that you share.